- Protective Frame : The front raised edges, protect your screen when placed face down and hard plastic edges protect the corners of the phone . - Easy Installation : Simply snap the case onto your Apple iPhone 7 in one smooth step and enjoy super slim protection . - Ultra slim : The super-slim design and custom designed fit adds minimal bulk to your Apple iPhone 7. - Ultra-Light : The lightweight aluminium frame adds no extra bulk . 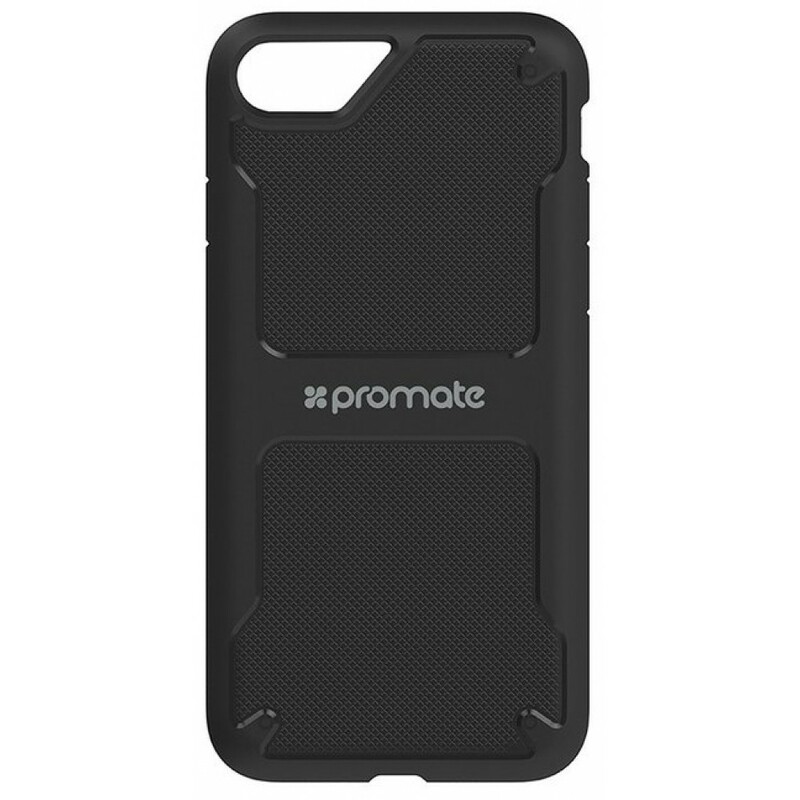 - Access to Buttons and Ports : This Promate case is custom-built for the Apple iPhone 7 to ensure an exact fit and maintains the full functionality of the device .